We can finally start getting used to the idea that the blot on the North Cheam landscape will soon become a pile of unsightly rubble (almost as unsightly as the building itself) to become someone’s landfill (or perhaps burnt in a nearby incinerator) and the space shall then be filled with a shiny new, much nicer looking building (see above). 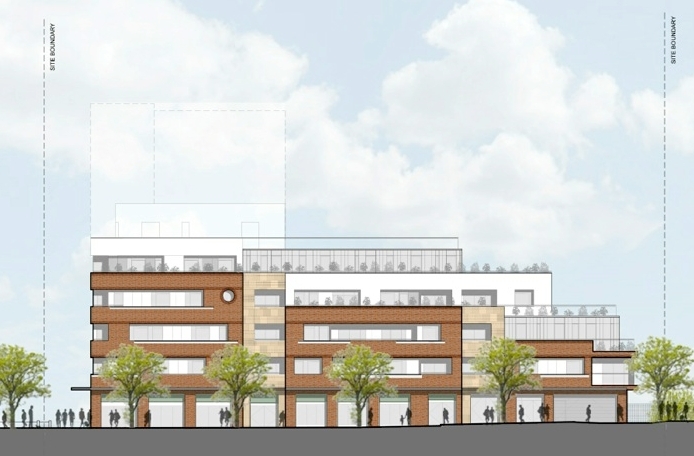 Stonegate Homes, the company which bought the site early last year, has since been putting together, consulting on and adjusting plans for the new development and submitted those plans to Sutton Council a few months ago. Last Wednesday (26th June) Sutton Council’s Development Control Committee voted unanimously to allow the application and now all we have to wait for is the dynamite to be ordered and wired up to the plunger correctly. The new art-deco inspired building, which will be nine storeys tall at its highest is a little smaller than the one planned a few months ago. 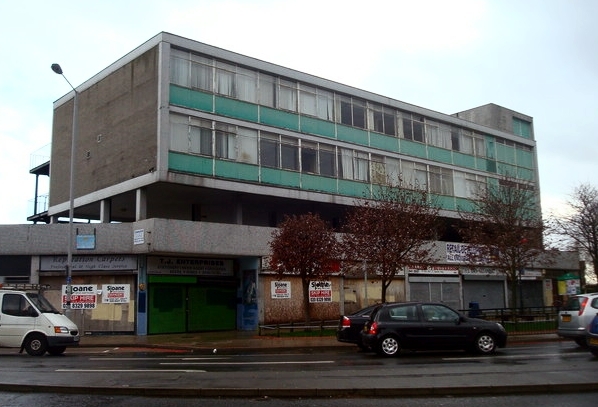 It will contain five ground floor retail units, one of which is likely to remain the Ladbrokes betting shop and one which Cllr Eric Allen negotiated as a police office. There will also be 75 residential flats on the upper eight floors with underground residential parking. Councillors dropped their insistence on over 25% being affordable homes and instead accepted a larger contribution from the developer towards upgrading local public amenities and services (known in the trade as Section 106 money) and just 7 affordable homes. Councillor Kirsty Jerome expressed her frustration that there were not more affordable homes but accepted that it was not worth jeopardising the development for this goal. Cllr Eric Allen pointed out that as it was expected that several flats would be purchased in order to rent out, that there would very likely be more affordable rental accommodation available in the development as a result. View from Church Hill Rd: Where's the tower gone? It was noted however that on the plans submitted to the council, in the view from Church Hill Road, the tallest centre section seems to have disappeared into the clouds. Anyway, it’s still a vast improvement, especially now the ‘arty wallpaper’ has all started peeling off.